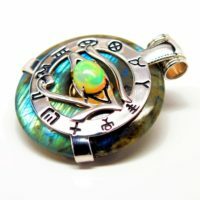 Love rainbow labradorite rich in bold greens and blues with the perfect amount of gold flashes? 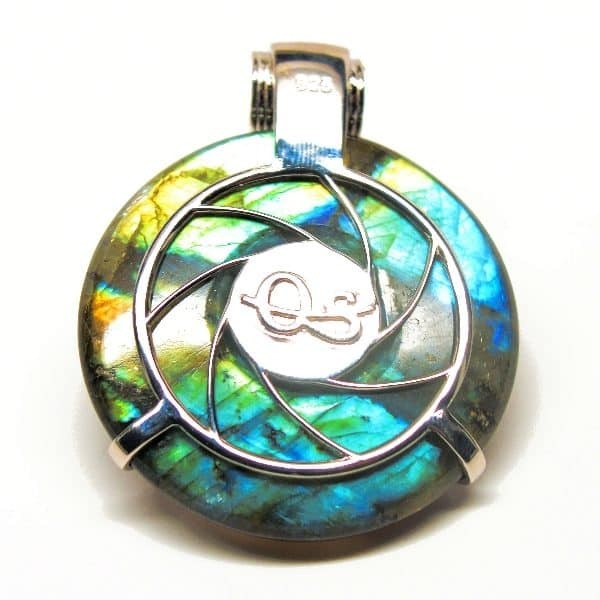 Fall in love with this one-of-a-kind pendant that is certainly more than meets the eye. 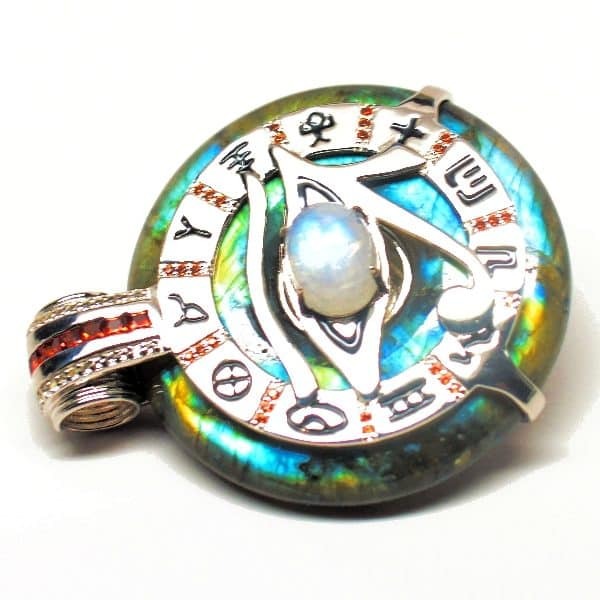 Rainbow labradorite is considered a cosmic stone that illuminates one’s path to higher realms and divine knowledge. 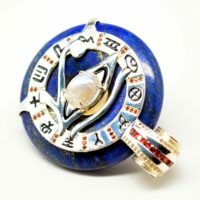 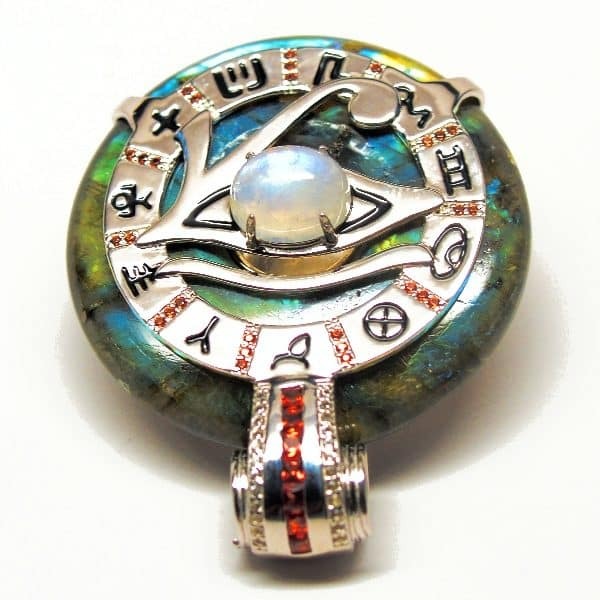 The striking moonstone amid the Eye of Horus symbol helps cleanse and charge user’s energy fields, allowing for greater awakening of the higher chakras that open the doors for astral travel and communications. 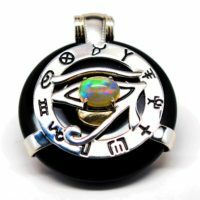 Let the all-knowing and all-seeing Egyptian God Horus become your guide and companion along the mind, body, spirit journey. 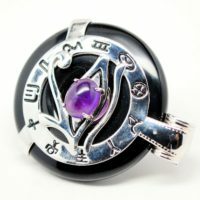 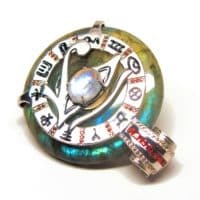 We’ve elevated the vibrations of this amulet with powerful frequencies, mystical symbols and dozens of garnets and white topaz crystals that also assist in banishing negativity and promoting clarity. 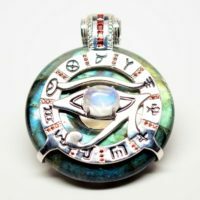 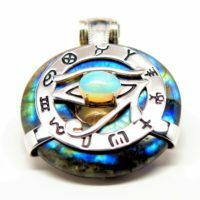 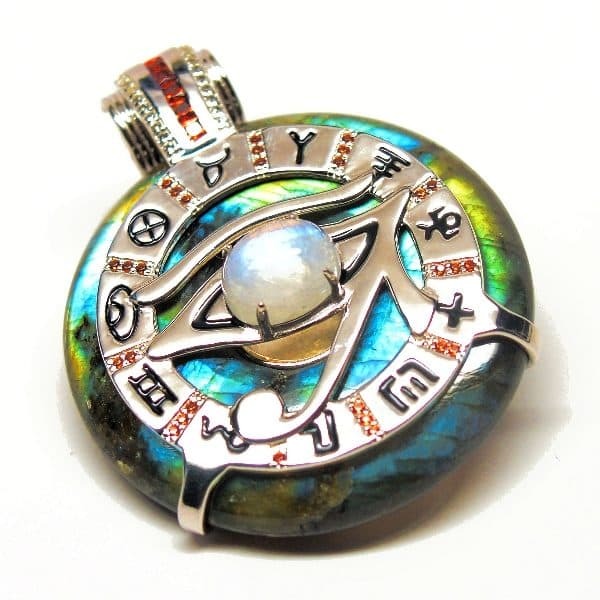 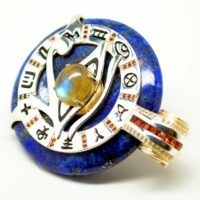 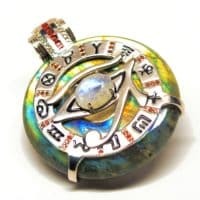 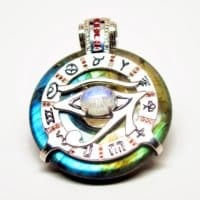 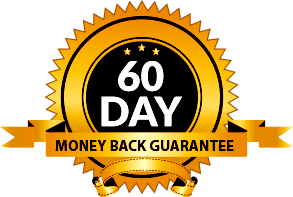 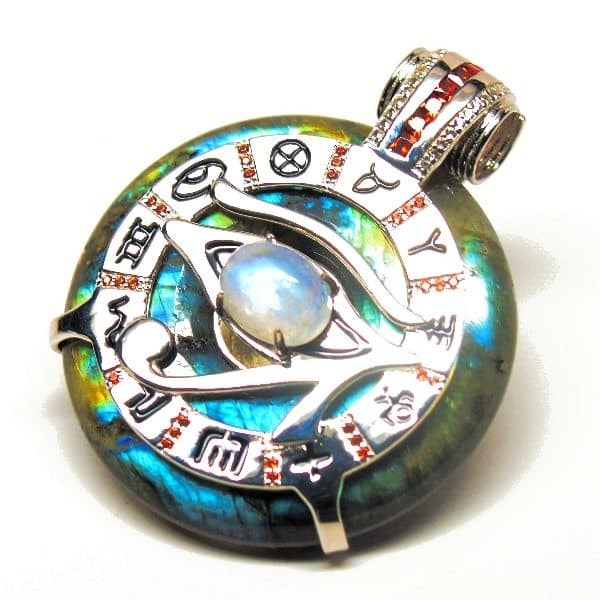 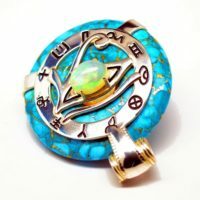 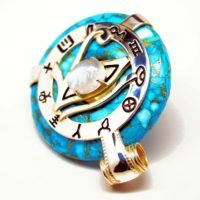 Be the first to review “Rainbow Labradorite & Garnet w/ Moonstone Eye – Horus Egyptian Amulet – (J0010)” Click here to cancel reply.